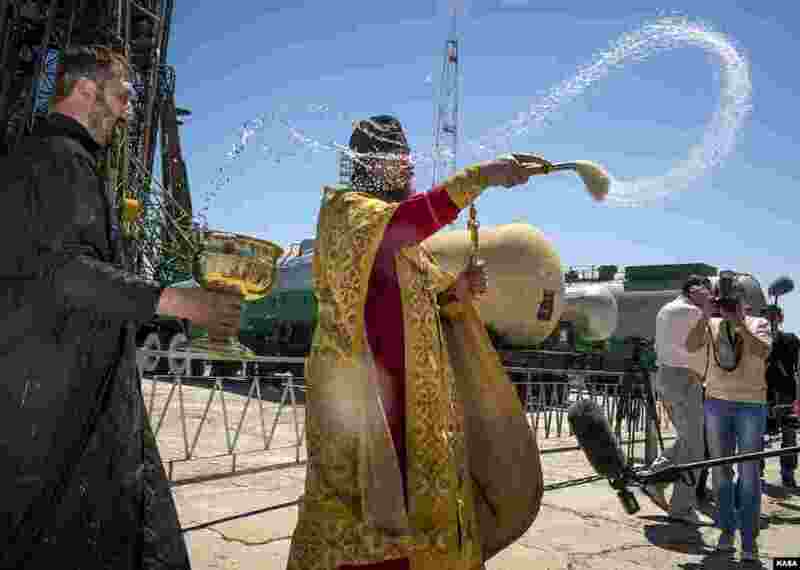 5 An Orthodox Priest blesses members of the media shortly after having blessed the Soyuz rocket at the Baikonur Cosmodrome Launch pad in Kazakhstan. 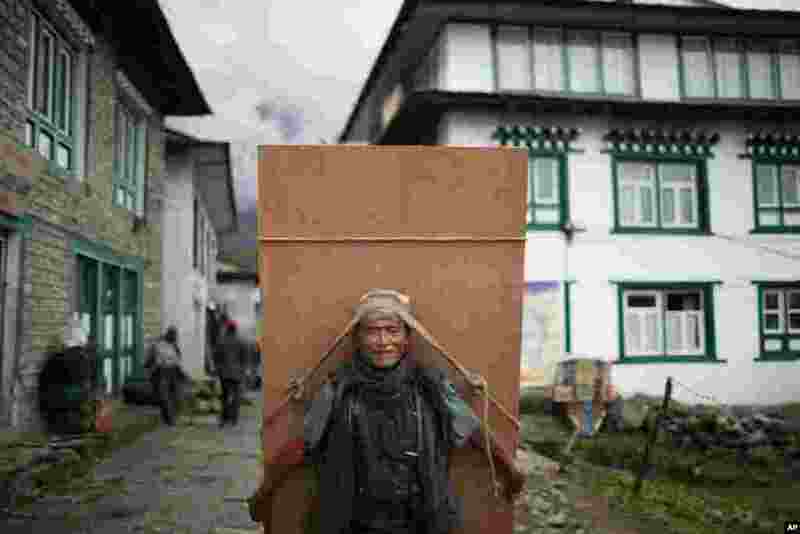 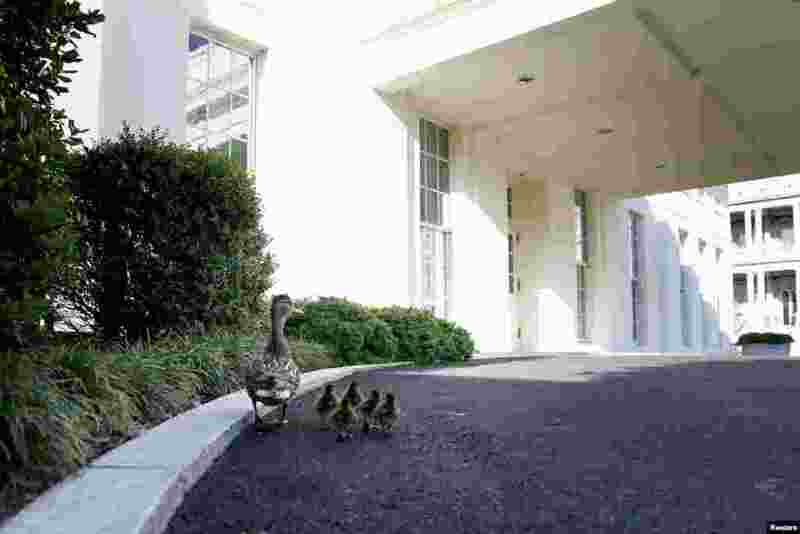 6 A slightly off-course mother duck leads her ducklings up to the entrance to the West Wing, home to U.S. President Barack Obama's Oval Office, on the White House grounds in Washington, D.C.
7 A Nepalese laborer transports a piece of plywood at Lukla, Nepal. 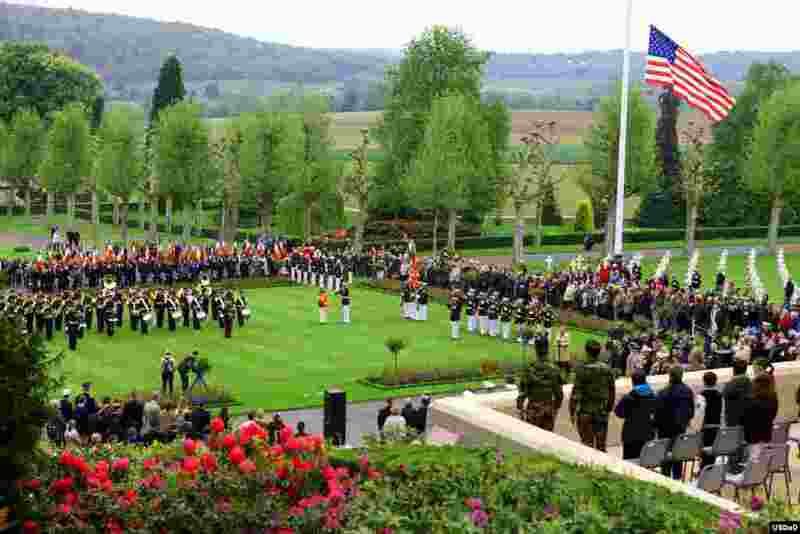 8 To celebrate Memorial Day, and to mark the 95th anniversary of the historic Battle of Belleau Wood, U.S. Marines with their French counterparts gather at Aisne-Marne American Cemetery in Belleau, France to commemorate their fallen heroes, May 26, 2013.